These marvellous lizards were plentiful around the dock and park headquarters on Komodo. 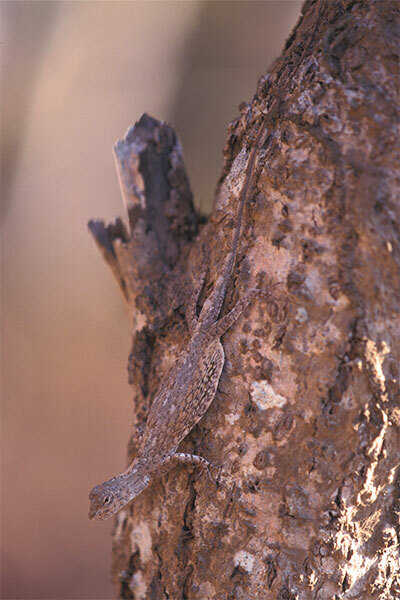 They spend their time eating ants on trees, usually on branchless expanses of trunk. When scared, they dash up the tree. When particularly scared, or just in the mood for a change of scenery, they leap into the air, spread out their elongated ribs that are connected by a flattened membrane, and glide to another tree. The one in the first picture here is posing with its gliding "wings" partly extended. In the second picture it's showing off its pointy yellow dewlap, thus marking its territory and no doubt impressing the female lizards. 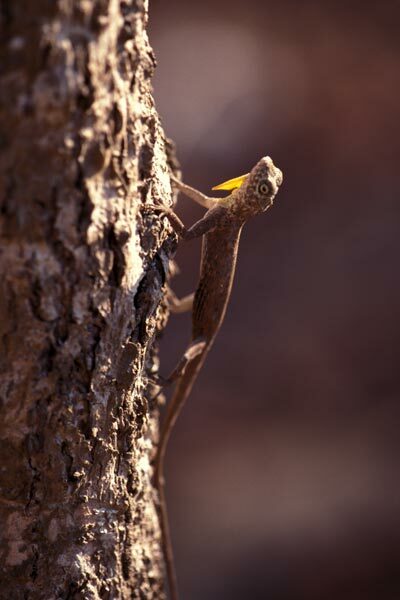 These lizards were formerly considered a subspecies of Draco volans, D. v. boschmai.